James was a vegetarian, wore only linen clothing, bathed daily at dawn in cold water, and was a life-long Nazirite. 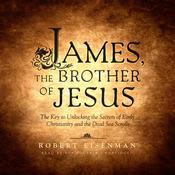 In this profound and provocative work of scholarly detection, eminent biblical scholar Robert Eisenman introduces a startling theory about the identity of James—the brother of Jesus—who was almost entirely marginalized in the New Testament. 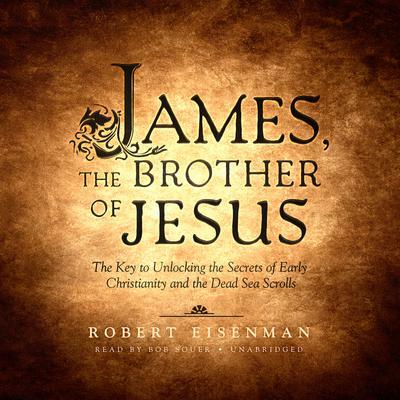 Drawing on long-overlooked early church texts and the Dead Sea Scrolls, Eisenman reveals in this groundbreaking exploration that James, not Peter, was the real successor to the movement we now call “Christianity.” In an argument with enormous implications, Eisenman identifies Paul as deeply compromised by Roman contacts. James is presented as not simply the leader of Christianity of his day, but the popular Jewish leader of his time, whose death triggered the uprising against Rome—a fact that creative rewriting of early church documents has obscured. Eisenman reveals that characters such as “Judas Iscariot” and “the Apostle James” did not exist as such. In delineating the deliberate falsifications in New Testament documents, Eisenman shows how—as James was written out—anti-Semitism was written in. By rescuing James from the oblivion into which he was cast, the final conclusion of James, the Brother of Jesus is, in the words of the Jerusalem Post, “apocalyptic”—who and whatever James was, so was Jesus. Robert Eisenman is a biblical scholar, theoretical writer, historian, archaeologist, and “road” poet. He is currently professor of Middle East religions, archaeology, and Islamic law and director of the Institute for the Study of Judaeo-Christian Origins at California State University, Long Beach. The consultant to the Huntington Library in its decision to free the Dead Sea Scrolls, he was the leading figure in the worldwide campaign to gain access to the Scrolls.